ADLINK new NEON-1021-M Intel® Atom™? 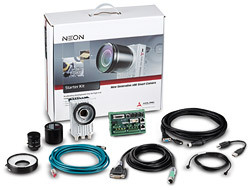 E3845 processorbased ready-to-go smart camera with MVTec MERLIC. 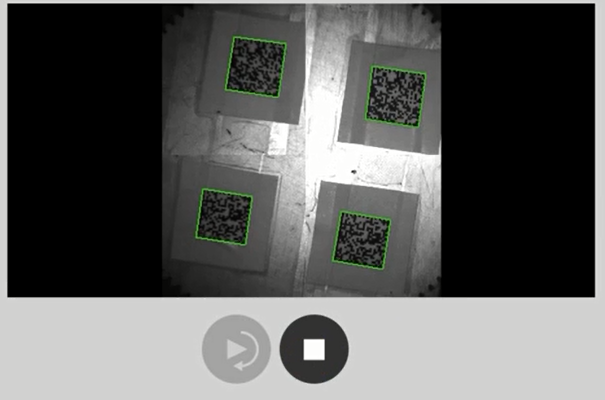 Equipping its state-of-the-art quad-core smart camera with an easy-to-use machine vision software, the NEON-1021-M significantly increases competitive advantage, exceeding basic smart camera advantages for machine vision development. 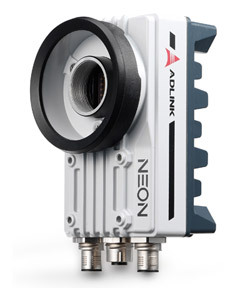 ADLINK' s NEON-1021-M features high performance quad-core Intel® Atom™? processors, speedy multi-ROI image capture, 2MP global shutter image sensors, and PWM lighting control support. High-speed multi-barcode capture by multi-ROI function shortens image processing cycle time, and optimized I/O includes one additional slave GigE Vision camera connection, 4x isolated input, 4x isolated output, and VGA output for maximized integration with external devices. Rugged construction with IP67-rated housing and M12 connectors enables the NEON-1021-M to withstand the harshest industrial environments. 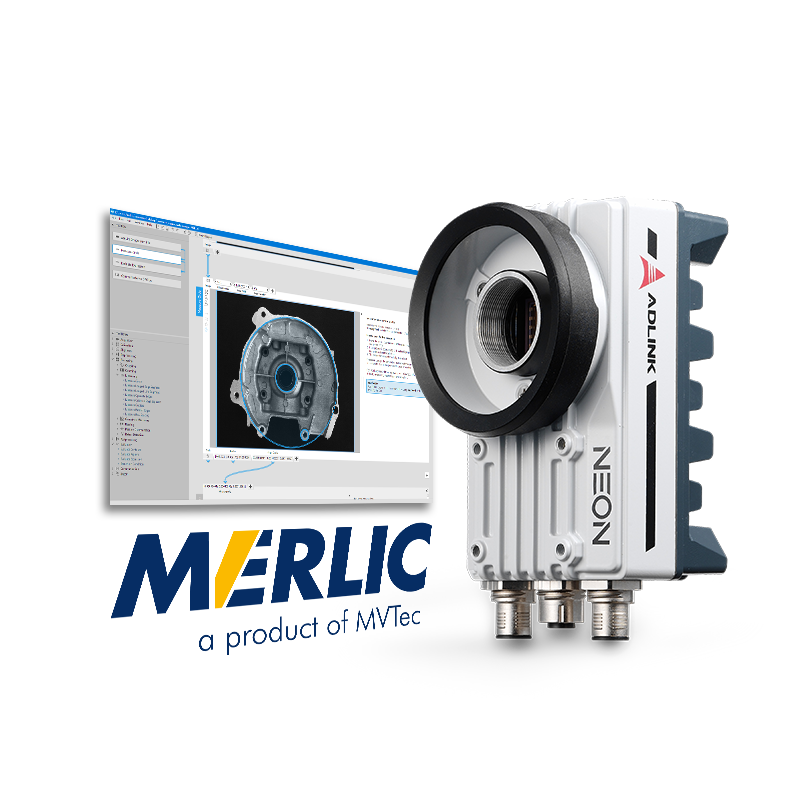 MVTec MERLIC is an all-in-one tool for quickly building machine vision applications with no programming requirement. 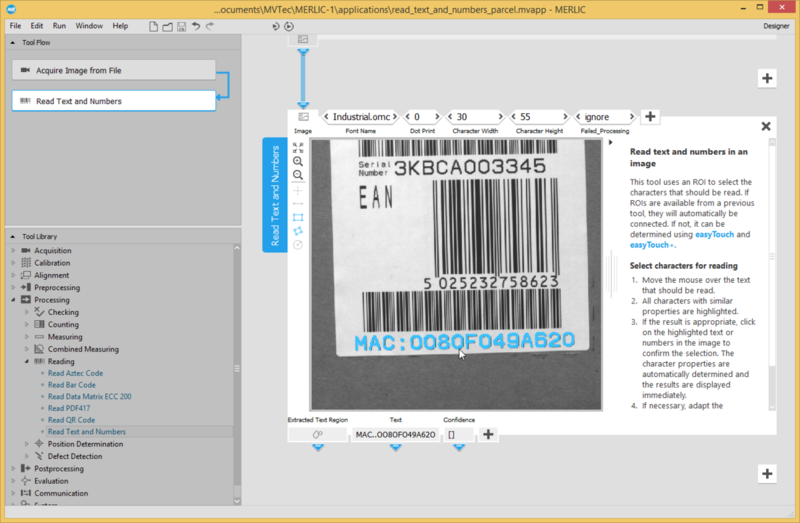 Based on MVTec's extensive machine vision expertise and combining reliable, fast performance with ease of use, the PC-based complete software solution features an image-centric user interface, intuitively guiding the user through the application. 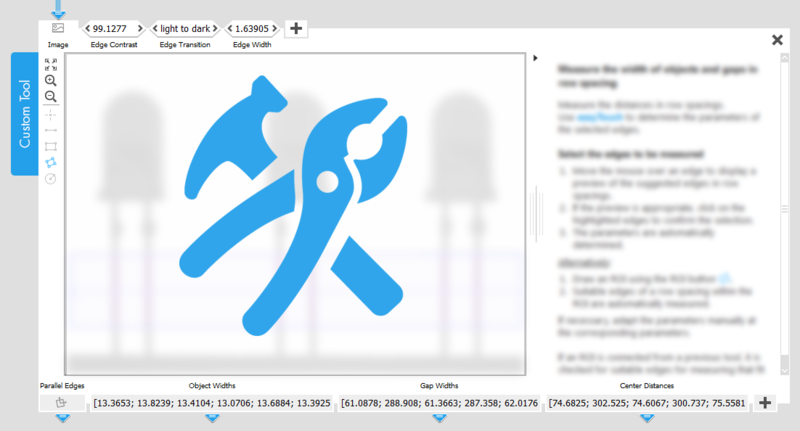 Similar to a WYSIWYG editor (what-you-see-is-what-you-get), developers can focus on the imagebased display rather than complex lines of code or parameter lists. 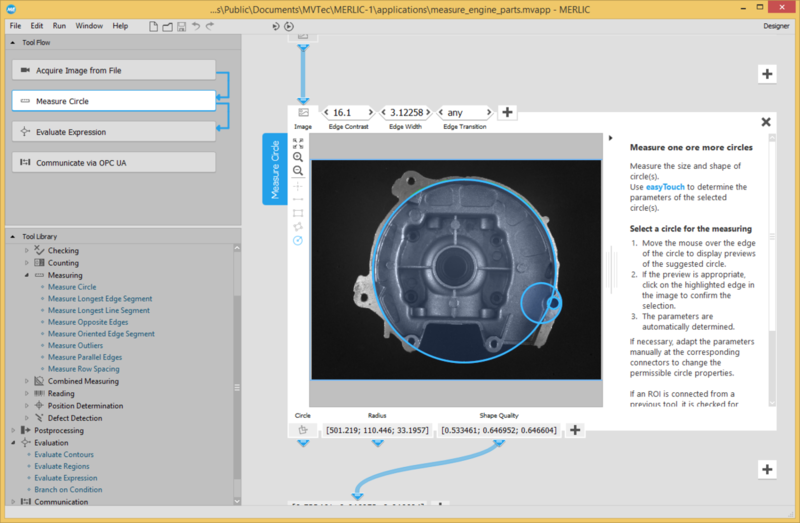 MERLIC is particularly suited to operations that favor a clear, graphical user interface for configuring imaging functions. 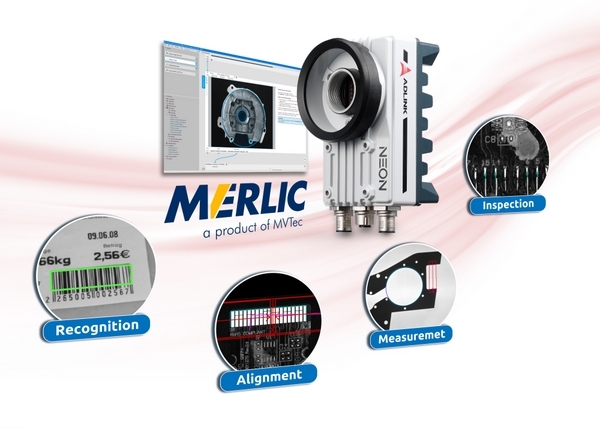 ADLINK's NEON-1021-M smart camera series and the integration of the easy-to-use machine vision software MERLIC makes it a simple matter for system integration to fulfill a wide variety of inspection application needs.